Christmas Eve in London, 1838. A small group of working-class, wayward souls gather in a tavern to celebrate when a small, unexpected guest prompts a spontaneous telling of the popular Oliver Twist. With traditional music-hall flair, they delve into Charles Dickens’ haunting moral tale as the lines between story and reality blur. Sized perfectly for The Loft Theatre, this reimagining of the classic Tony Award®-winning musical will touch your heart and challenge your spirit. It’s Oliver with a twist, indeed! Nominated for 11 Tony Awards, this amazing musical has spawned a series of motion pictures as well as two Broadway revivals. In the late 50’s ‘Grease is the word’ at Rydell High School where Danny Zuko pines for cheerleader Sandy Dumbrowski. Come follow these star crossed lovers and their gang of rebellious teens as they navigate the complexities of love, cars, and drive-ins. David Sedaris, author of the previous bestsellers Naked, Me Talk Pretty One Day, Dress Your Family in Corduroy and Denim, and regular National Public Radio contributor will be appearing for one night only at the Aronoff Center’s Procter & Gamble Hall on Saturday, November 3 at 8:00pm. Celebrating the release of his new title, Squirrel Seeks Chipmunk: A Modest Bestiary, a book of acerbic, outrageously funny fables, featuring animals with unmistakably human failings, which hit bookstores September 2010, author David Sedaris will visit Cincinnati for an evening of engaging recollections and featuring all-new readings. Tweaking the familiar until it warps; David Sedaris mines poignant comedy from his peculiar childhood in North Carolina, his bizarre career path, and his move with his lover to France. Including his last release, the New York Times #1 Bestselling book, When You Are Engulfed in Flames, David Sedaris’ wickedly witty observations of the ordinary-bizarre is always sure to deliver insights and laughs. One of six children in a second- generation Greek family, he grew up in Raleigh, North Carolina. In 1977, he dropped out of Kent State University to hitchhike around the country. Aside from working as an elf, Sedaris has worked a number of charmingly quirky jobs such as a house painter, an apple picker, an aide in a mental hospital, a creative writing teacher at the Art Institute of Chicago, and an apartment cleaner. Tickets go on sale to the public beginning Friday, July 20 at 10am. Ticket prices range from $40-$53 and are available in person at the Aronoff Center Ticket Office, by phone at (513) 621-ARTS , or online at CincinnatiArts.org. The facts surrounding the death of Matthew Shepard, a gay college student whose brutal murder shocked the country in 1998, come to life on stage. Award-winning playwright Moisés Kaufman and members of his theater company traveled to Laramie, Wyoming, to conduct 200 interviews with the residents of the town. What resulted is a powerful dramatization of the murder, investigation and subsequent convictions—a sobering look into how hate is born and nurtured in the back streets of a friendly American town. Mature subject matter. Admission is free, but reservations are required. Tickets become available at noon on Monday, Nov. 26. Visit the CCM Box Office or call 513.556.4183 to reserve. Limit two tickets per order. 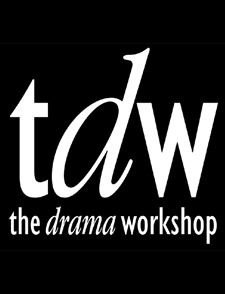 The Drama Workshop is scheduling director interviews for our 2013-2014 season. This is a very exciting time for The Drama Workshop as we now own our own theater in the former Glenmore Bowling Alley in Cheviot. We hope to produce a season consisting of 4 shows in the new Glenmore Playhouse in the fall of 2013. TDW has a list of 15 plays that are under consideration by the TDW board for the 2013-2014 season. We encourage potential directors to read any or all of the plays under consideration. To obtain the list of plays contact Gretchen Gantner (contact info below). It is not necessary to read all of the plays to apply for a directorship. We are asking that interested potential directors attend a scheduled interview at The Glenmore Playhouse. Interviews will be conducted in early November. Should you wish to schedule an interview time, please contact Gretchen Gantner at 513.470.5516 or at GRoose1876@aol.com.